Morel is a Hunter who uses a giant smoking pipe and smoke as weapons, and who has a great sense of compassion. 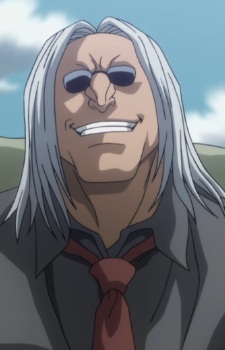 As his role progresses during the chimera ant arc, Morel shows himself as an experienced and resourceful fighter, which is shown in his fight against Leol wherein he uses his pipe as a snorkel so that he could allow himself to breathe underwater, and in doing so suffocates his opponent with the Carbon Dioxide he had emitted. The smoke that he uses are for his nen ability, able to take on various shapes and could act independently to him once commands are issued.